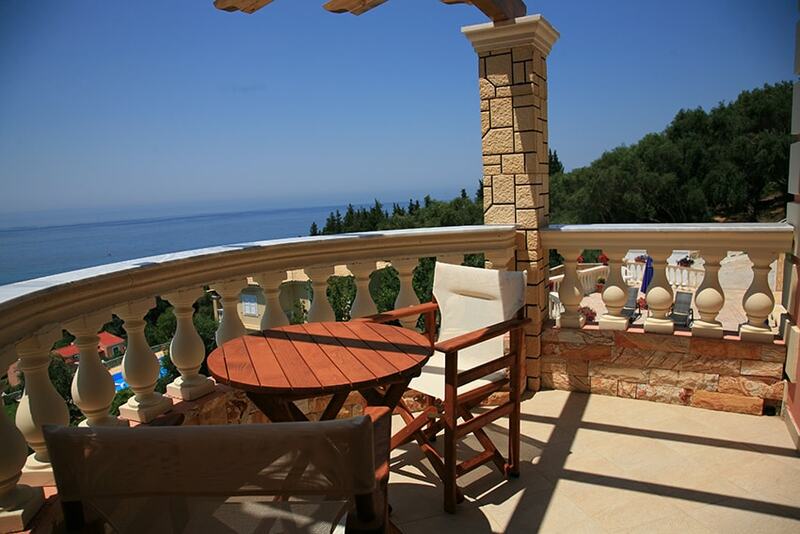 VIP Villa Paradise at Paramonas village of Corfu is a fully furnished, luxury private villa. It is newly built – construction works finished in April 2010. VIP Villa Paradise is one of the most accomplished villas that we have built till now. This was a product of the love, professionalism and zest we showed on the project and the construction. We have constructed a villa that, besides the area where it is located and its fully furnishings, provides to any visitor who may choose it for accommodation with conveniences, security, private peace … along with a part of luxury! Villa Paradise is considered the dream choice for the guest who seeks quality tourist services and has high expectations for accommodation services! Unquestionably, the final and sole judge of all the aforesaid is nobody else than you! VIP Villa Paradise is a detached villa of 200sqm., that is surrounded by an enclosed plot of land 1,800sqm.. It’ s only 450m. distance from the breathtaking Paramonas beach. 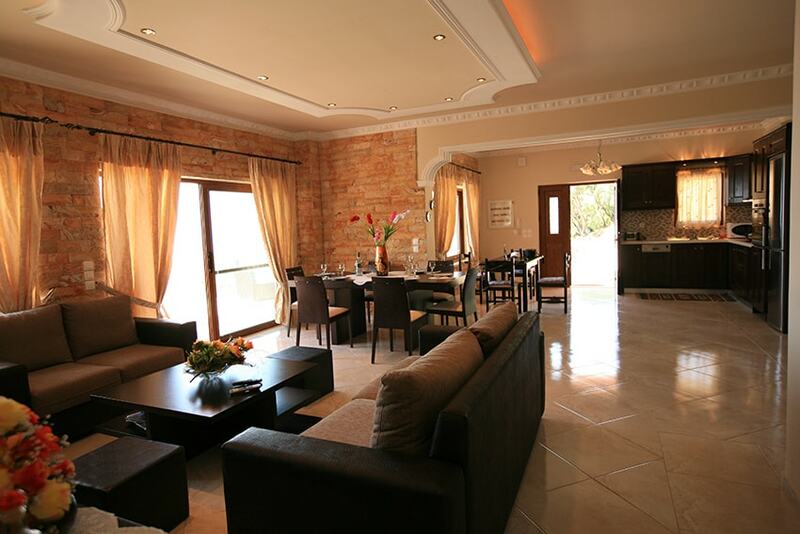 VIP Villa Paradise can accommodate 8 – 12 guests. Villa’s ground floor consists of a fully furnished kitchen, a comfortable living room, a dining room, a common bathroom (a washing machine) as well as of one bedroom with two single beds and a bathroom inside. Apart from the basic cooking utensils, the kitchen also has an oven, a microwave oven, a dish washer, a freezer fridge and some other necessary small appliances like a coffee machine, a toaster, a water heater etc.. 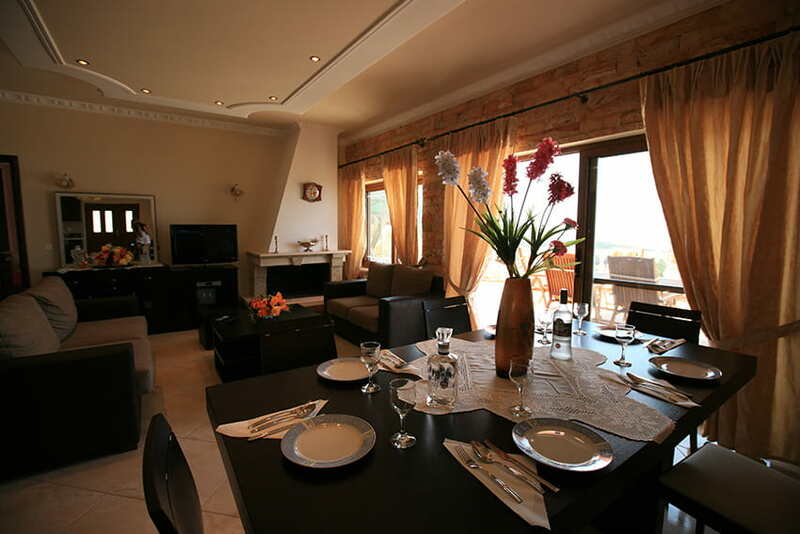 It is also available a wonderful dining room which offers during meals a great comfort at 8 – 10 persons. There is a fireplace at the living room while you may enjoy yourselves with a 32” FLAT large satellite television or with a DVD player, a stereo as well as with high speed/ADSL Internet Access. All the spaces, i.e. the kitchen, the dining room and the living room are air conditioned. In general, villa’s ground floor has large windows and French windows in order to offer to the guest the fantastic view towards the sea as well as the possibility for immediate access to the big balcony and to the pool as along with Jacuzzi are at the same level. 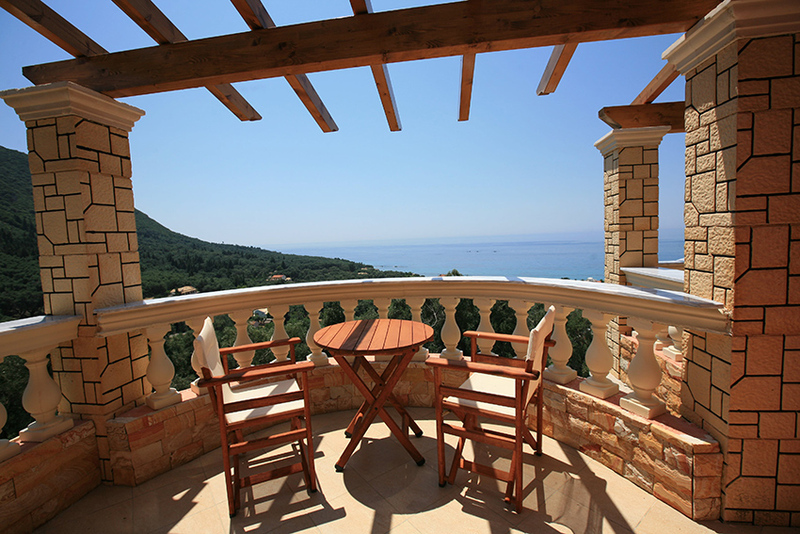 There is a furniture garden table and chairs at the big balcony where the view that offers is really breathtaking. Finally, the ground’s floor bedroom has an A/C, a FLAT satellite television while it’s internal bathroom has a bathroom shower. An interior stair leads to the first floor. There are three bedrooms at the first floor, one of which is furnished with two single beds while the two main bedrooms have one double bed each (wooden type). 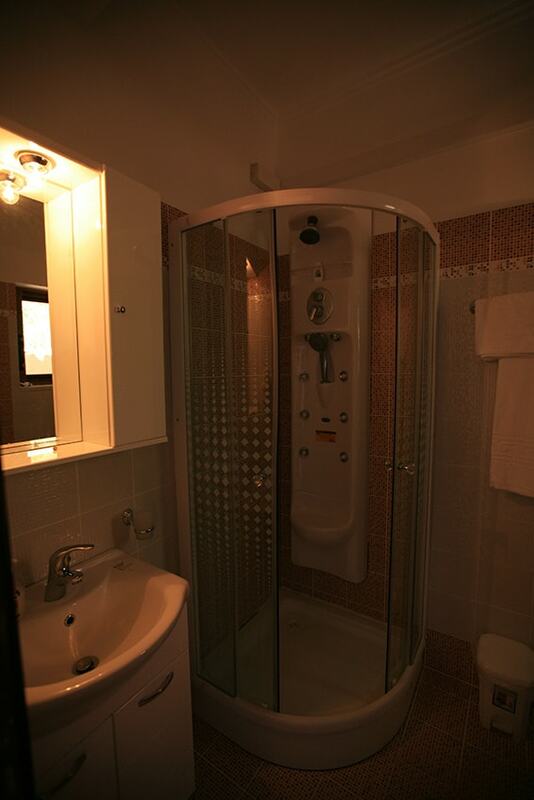 All bedrooms (20sqm each) have a wardrobe, an air conditioner and a FLAT satellite television. 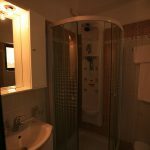 Finally, all bedrooms have a bathroom inside, while the two main bedrooms are furnished with hydromassage (bathtubs, shower cabins, hydromassage columns). A big French window leads to a private balcony where there is a small living room furniture.